The mirror hour 10:10 is very significant and it is also one of the most commonly searched for double hours. Here you will learn the significance of the hour 10:10. To make our interpretation we will use several different tools such as the work of Doreen Virtue, numerology, and the Tarot of Marseilles. When we observe a synchronicity like the hour 10:10, it is natural to try to understand the meaning behind the sign! Is it positive or negative? Here we will provide you with all the elements you need to forge your own opinion on the nature of the message behind this double hour. The number 10 is a powerful symbol for the subconscious. It represents the end of a cycle. It is a sign of a strong connection to the Divine. In the bible we hear of the 10 commandments given to Moses, as well as the 10 plagues which struck Egypt. We must therefore pay special attention to the advice that 10:10 gives us. The guardian angels inform you that you will encounter major changes in your life. You are currently well on the way to becoming the person that you want to be! You are finally going to make clear strides along the path to your destiny, and this is true in every aspect of your life. 10:10 indicates that the angels are at your side to give you encouragement and the confidence you need to explore territories and areas unknown to you. You will find the resources inside yourself to succeed in new challenges! This will give you many opportunities in your romantic life. The change in setting will allow you to meet new people. You should get out of your comfort zone if you want to find the right person. The same goes for if you are in a couple, as you will explore new sexual practices with your partner and broaden your horizons. But the most important point we can gain from interpreting 10:10 through the angels is that recognition and success are at your doorstep in your professional and financial future. At this moment you are undeniably very lucky. What’s more, your work and your skills will finally be recognized. You will definitely receive the fruits of your labors. The guardian angel corresponding with 10:10 is Lecabel, whose period of influence is between 10:00 and 10:20. He symbolizes prestige and radiance. He guides you towards success and recognition! If you follow your instincts and his guidance, you will certainly get what you want! He helps you to become a person who is detail-oriented. Your love for the truth allows you to resolve certain conflicts with ease. You have a great control over your emotions which helps you to avoid heated arguments. 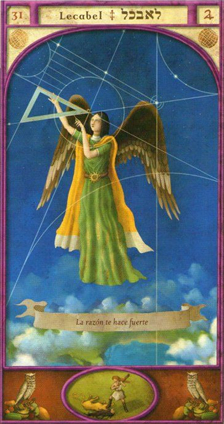 The angel Lecabel helps you in the realm of the arts or in any activity which requires a high level of technicality. 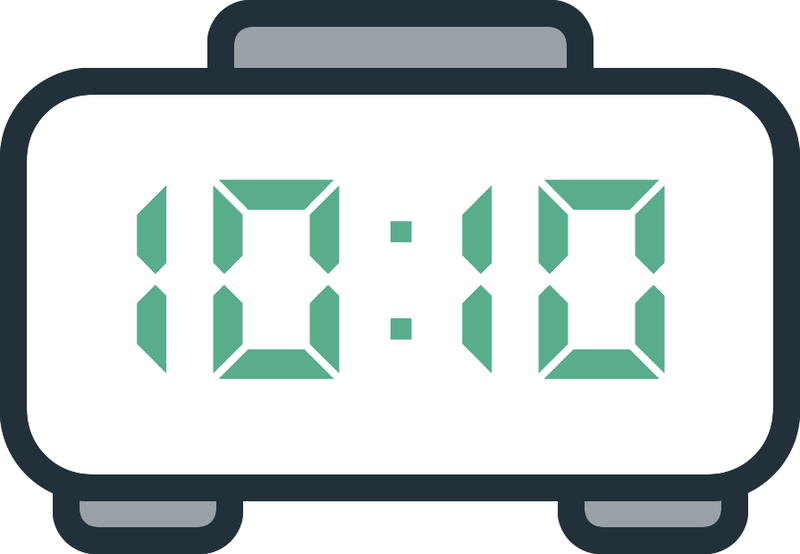 What does 10:10 mean in Numerology? The total value of the mirror hour 10:10 is 20, which is a sign of good health and harmonious living. It brings positive changes into your life. It seems that you are currently in a period which is important for your development. This could be on the spiritual or the professional level. There will be a happy event in your family which could be related to a marriage or the birth of a child! If you are single, then 10:10 is a sign that someone will fall in love with you, but there is a possibility that they will not show you their feelings. It will be up to you to make the first move! Take the time to reflect on who around you could have secret feelings for you. 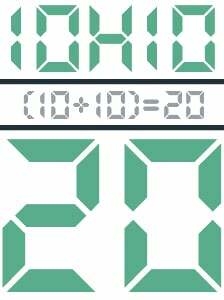 The number 20 will reward you for a great deal of time and effort. You are an idealist, and you like to get things done right! You have now reached a moment in your career or your development, in which you will receive the benefits for your perseverance. Finally, the numerology of 10:10 shows that you are a person with a penchant for helping others. You have a great sense of charity and compassion, but be aware that people with bad intentions could take your big heart for a weakness and abuse your trust for their own benefit. 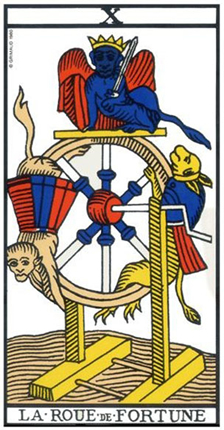 The Tarot card corresponding to 10:10 is the Wheel of Fortune! This Arcanum represents the end of a cycle which will turn out positively for you. It will bring you success and good luck! There are great changes in the works, and they will all be to your benefit! The Wheel of Fortune is a very positive omen. You will certainly have heard the expression: “The wheels are set in motion”. This is the message of this card. You will find success in all areas of your life, and in financial matters you will have an early win! You will have the opportunity to handle large sums of money. However a wheel can also be unstable. When this card is in a bad position, it can be synonymous with misfortune and instability. After all, life is made up of highs and lows. In love, you will experience positive changes which will smile kindly upon a new meeting. You take care of yourself and this attracts people’s attention, but be careful of those people who are too overly superficial. In work you will manage to reach all of your goals; nothing can stop you at this moment! If you want to ask for a promotion, then it is clear that now is the opportune moment! In matters concerning money you will be completely successful, so you can relax! In the near future you will increase your income substantially! Any comment on the 10:10 mirror hour? First 01:01 now a saw this 10:10 in my watch. Well, seems to me that universe and angels are activly communicating with me day by day!! I am happy cuz they are by my side!! Today, on the TV at the gym. The time was stuck for a period and clock would not move. It was at 10:10:10! First time seeing this since I always see 11:11. I saw this again thank you once again.